I’ve been reading Cathy O’Neil’s “Mathbabe” blog off-and-on pretty much since its inception, but either I’ve changed or her blog has, because for the last several months almost every entry seems like a gem to me. Cathy is somewhat outside-the-box of the typical math bloggers I follow… a blogger with a tad more ‘attitude’ and range of issues. She is a Harvard (PhD) graduate (also Berkeley and MIT) and a data scientist, who left the finance industry when disillusioned. 1) To start, could you tell readers a little about your diverse background and how you came to be a sort of math “freelancer” and blogger… including when did your interest in mathematics originally arise, and when did you know you wished to pursue it professionally? I started liking math when I was 4 or 5. I remember thinking about which numbers could be divided into two equal parts and which couldn’t, and I also remember understanding about primes versus composites, and for that matter g.c.d., when I played with spirographs and taking note of different kinds of periodicities and when things overlap. Of course I didn’t have words for any of this at that point. Later on in elementary school I got really into base 2 arithmetics in 3rd grade, and I was fascinated by the representation of the number 1 by 0.9999… in 7th grade. I was actually planning on becoming a pianist until I went to a math camp after 9th grade (HCSSiM), and ever since then I’ve known. In fact it was in that summer, when I turned 15, that I decided to become a math professor. Long story short I spent the next 20 years achieving that goal, and then when I got there I realized it wasn’t the right speed for me. I went into finance in the Spring of 2007 and was there throughout the crisis. It opened my eyes to a lot of things that I’d been ignoring about the real world, and when I left finance in 2011 I decided to start a blog to expose some of the stuff I’d seen, and to explain it as well. I joined Occupy when it started and I’ve been an activist since then. 2) You’re involved in quite a number of important activities/issues… what would you list as your most ardent (math-related) goals, for say the next year, and then also longer-term? 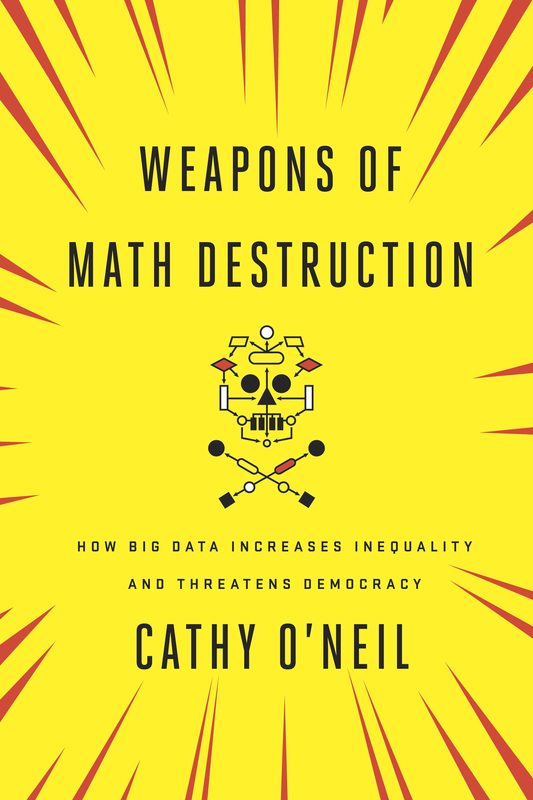 My short- or medium- term goal is to write a book called “Weapons of Math Destruction” which I recently sold to Random House. It’s for a general audience but I’ve been giving a kind of mathematical version of it to various math departments. The idea is that the modeling we’re seeing proliferate in all kinds of industries has a dark side and could be quite destructive. We need to stop blindly assuming that because it has a mathematical aspect to it that it should be considered objective or benign. 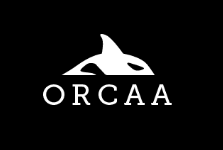 Longer term I want to promote the concept of open models, where the public has meaningful access to any models that are being used on them that are high impact and high stakes. So credit scoring models or Value-Added Teacher models are good examples of that kind of thing. I think it’s a crime that these models are opaque and yet have so much power over people’s lives. It’s like having secret laws. 3) Related to the above, you’ve been especially outspoken about various financial/banking issues and the “Occupy Wall Street” movement… I have to believe that there are both very rewarding and very frustrating/exasperating aspects to tackling those issues… care to comment? I’d definitely say more rewarding than frustrating. Of course things don’t change overnight, especially when it comes to the public’s perception and understanding of complex issues. But I’ve seen a lot of change in the past 7 years around finance, and I expect to see more skepticism around the kind of modeling I worry about, especially in light of the NSA surveillance programs that people are up in arms over. 4) Your blog covers a wider diversity of topics than most “math” blogs. Sometimes your blogposts seem to be a combination of educating the public while also simultaneously, venting! (indeed your subheading hints at such)… how might you describe your feelings/attitude/mood when writing typical posts? And what are your favorite (math-related) subjects to write about or study? Honestly blogging has crept into my daily schedule like a cup of coffee in the morning. It would be really hard for me to stop doing it. One way of thinking about it is that I’m naturally a person who gets kind of worked up about how people just don’t think about a subject X the right way, and if I don’t blog about those vents then they get stuck in my system and I can’t move past them. So maybe a better way of saying it is that getting my daily blog on is kind of like having an awesome poop. But then again maybe that’s too gross. Sorry if that’s too gross. 5) Is “Mathbabe” blog principally “a labor of love” or is it more than that for you (some sort of means to an end)? i.e., You’re writing a book and you do speaking engagements, along with other activities… is the blog a mechanism to help promote/sustain those other endeavors, or do you view it as just a recreational side activity? I’ve been really happy with a decision to never let mathbabe be anything except fun for me. There’s no money involved at all, ever, and there never will be. Nobody pays me for anything, nobody gets paid for anything. I do it because I learn more quickly that way, and it forces me to organize my half-thoughts in a way that people can understand. And although the thinking and learning and discussions have made a bunch of things possible, I never had those goals until they just came to me. At the same time I wouldn’t call it a side activity either. It’s more of a central activity in my life that has no other purpose than being itself. It’s fun to write! I can’t believe people are willing to let me interview them! It won’t be out for a couple of years. At first I thought that was way too long but now I’m glad I have the time to do the research. 7) How do you select the topic you post about on any given day? And are there certain blogposts you’ve done that stand out as personal favorites or ones that were the most fun to work on? From the other side, which posts seem to have been most popular or attention-getting with readers? I send myself emails with ideas. Then I wake up in the morning and look at my notes and decide which issue is exciting me or infuriating me the most. I have different audiences that get excited about different things. The math education community is fun, they have a LOT to say on comments. People seem to like Aunt Pythia but nobody comments — I think it’s a guilty pleasure. I guess it’s fair to say that people like it when I combine venting with strong political views and argumentation. My most-viewed post ever was when I complained about Nate Silver’s book. 8) What are some of the math-related books you’ve most enjoyed reading and/or ones you would particularly recommend to lay folks? I don’t read very many math books to be honest. I’ve always enjoyed talking math with people more than reading about it. But I have been reading a lot of mathish books in preparation for my writing. For example, I really enjoyed “How to Lie with Statistics” which I read recently and blogged about. Most of the time I kind of hate books written about modeling, to be honest, because usually they are written by people who are big data cheerleaders. I guess the best counterexamples of that would be “The Filter Bubble,” by Eli Pariser which is great and is a kind of prequel to my book, and “Super Sad True Love Story” by Gary Shteyngart which is a dystopian sci-fi novel that isn’t actually technical but has amazing prescience with respect to the kind of modeling and surveillance — and for that matter political unrest — that I think about all the time. 9) Anything else you’d want to say to a captive audience of math-lovers, that you haven’t covered above? Thanks so much, Cathy, for filling in a bit about yourself here. Good luck in all your endeavors! Thanks for taking the time to respond to my questions, Cathy… you’re doing vitally important work. I also hope anyone who hasn’t already seen it will view the entire Frontline interview linked to at the very close… I think it builds in an almost spellbinding way!